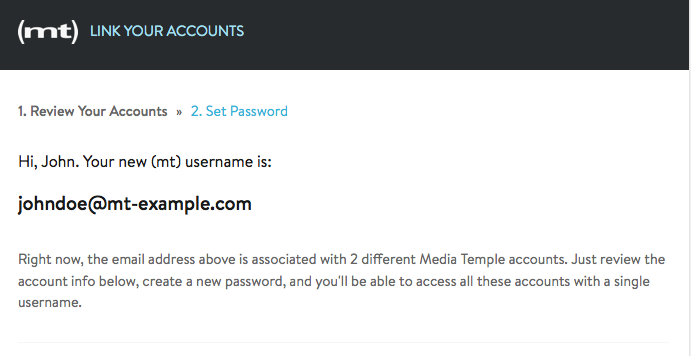 This article will help you streamline and simplify your AccountCenter experience by creating a single login for all of your (mt) Media Temple accounts. Once this process is complete, you'll no longer need to use a primary domain to identify your account. 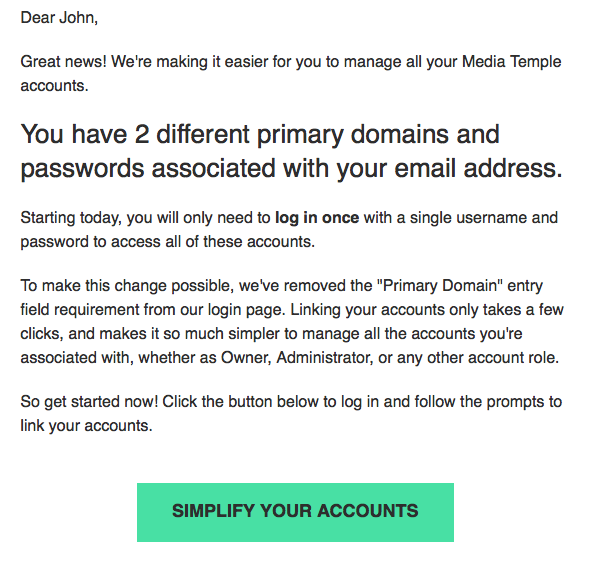 "A single login for all your (mt) accounts." If you do not see the message in your inbox, it is recommended that you check your spam folder for it. To begin the process click on SIMPLIFY YOUR ACCOUNTS. The first thing you'll notice is your new (mt) username. The next step is to review your accounts. 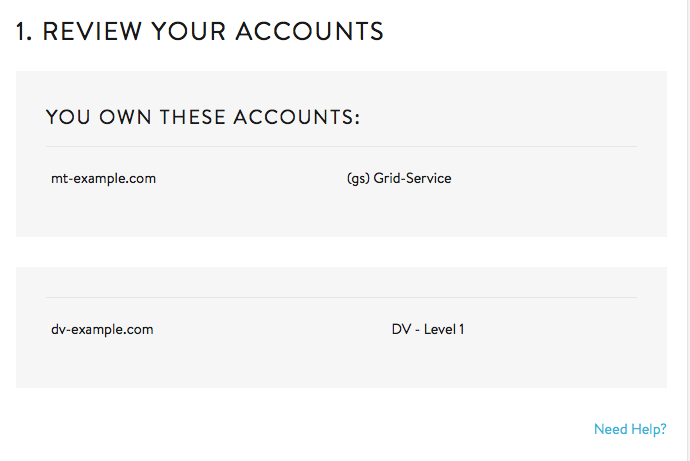 As you scroll down, you will see all of the accounts you own below listed by their current primary domain and service type. Once you've reviewed your accounts that will be consolidated to this single sign-on, you will need to set a new password for the new (mt) user. 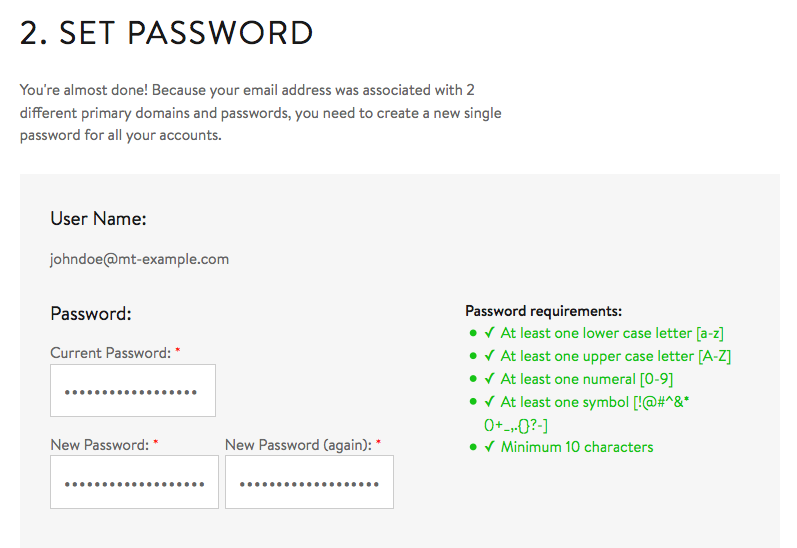 When creating the new password, you will need to meet all of the password requirements to make sure your password is strong. 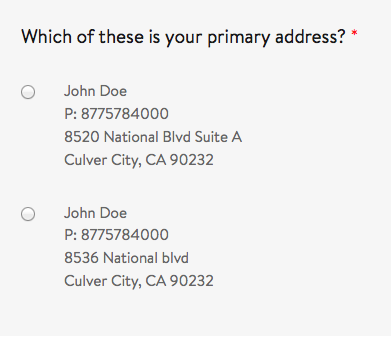 After entering the password, you will need to verify or select your correct primary address for these accounts. Once you have confirmed all of the information above is correct, click FINISH to update your accounts.